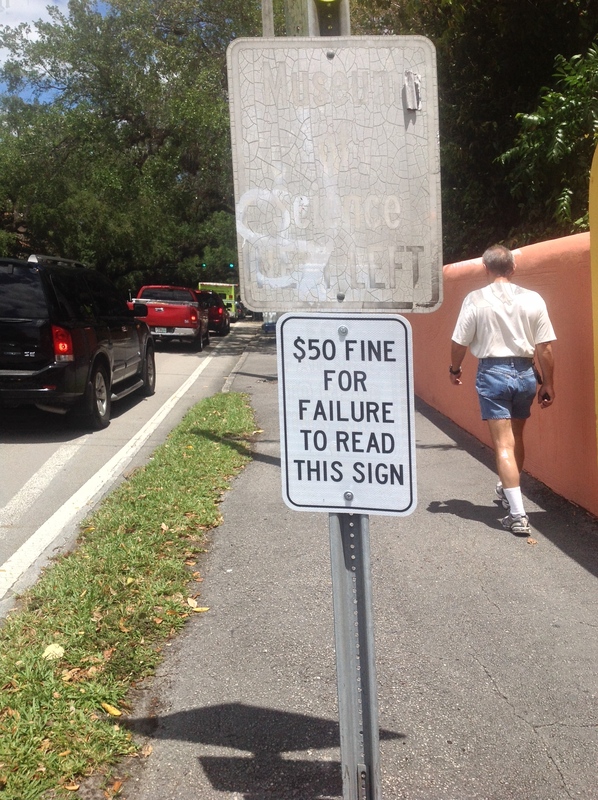 Near Viscaya in Coconut Grove, ironically installed underneath a sign so bleached by the Florida sun as to be totally unreadable, and now with a sign directly under it warning that there is a $50 fine for not reading it. 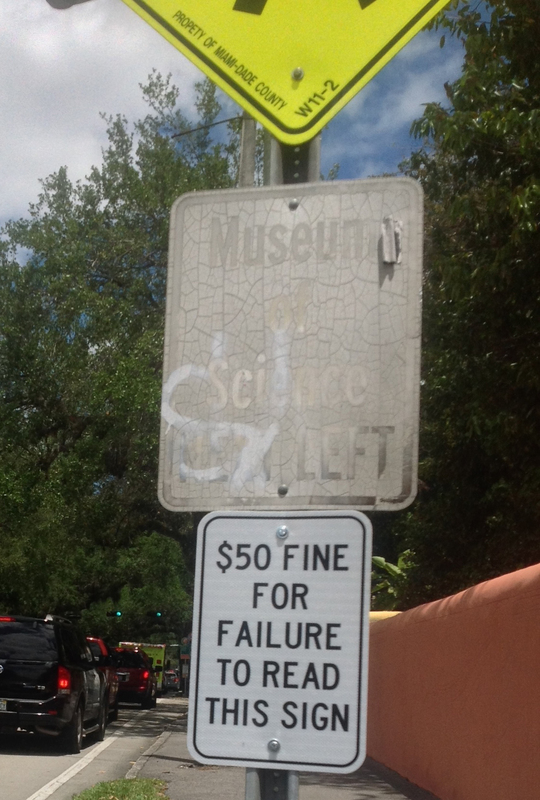 Not reading the unreadable sign? Well, that’s pretty darn close. Missing one “R”, big deal. Nobody’s going to read it anyway, so what’s the difference. And they did get Miami-Dade right. So that counts.